Bangladesh police fired tear gas, rubber bullets, and water canons on Thursday to disperse hundreds of striking workers at a garment factory in the capital of Dhaka, according to Reuters. Authorities also detained union leaders, as well as agitating workers who vandalized vehicles in retaliation. The raid effectively brought to an end the 11-day hunger strike, staged by about 1,600 workers from five factories of the Tuba Group to demand the payment of three months’ worth of owed salary, overtime, and a bonus for the Eid al-Fitr holiday. Tuba Group, coincidentally, owned Tazreen Fashions, the same facility where 112 workers died in 2012 in Bangladesh’s worst industrial fire. The group’s owner, Delwar Hossain, who turned himself in to face homicide charges in February, was released on bail this week on the promise of reimbursing workers for the outstanding wages. 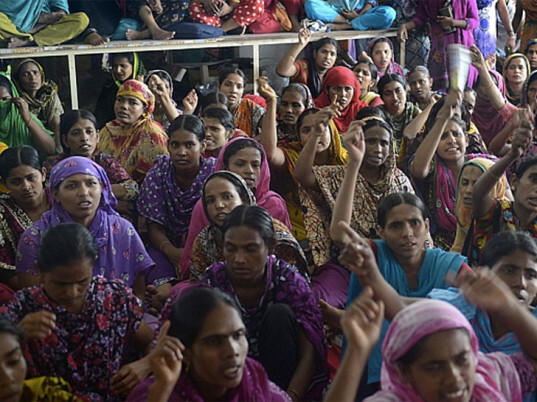 Mohammad Atiqul Islam, president of the Bangladesh Garment Manufacturers and Exporters Association, told reporters that nearly half of the workers have agreed to Tuba Group’s offer to pay two months of back wages upfront and the rest of the salaries, plus a bonus, at a later date. Union leader Moshrefa Mishu, who was among those arrested, however, said that workers rejected the deal. Last year, the Bangladesh government raised the minimum wage for garment workers by 77 percent to 5,300 taka ($68) a month. It also amended the labor laws to permit its 4 million garment workers, most of them women, to form trade unions without having to seek permission from factory owners. INFOGRAPHIC | What Does That $14 Shirt From Bangladesh Really Cost? Despite recent reforms, lackluster safety standards and poverty wages continue to make the South Asian nation one of the cheapest places in the world to make clothing. 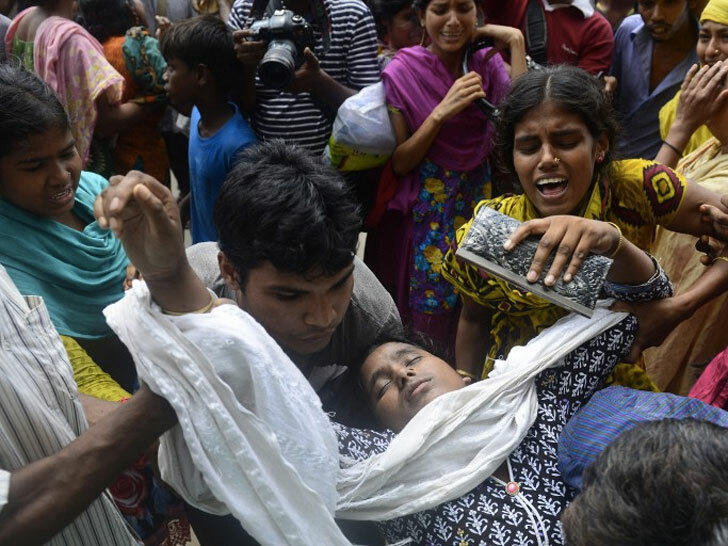 The U.S. Trade Representative Office, which suspended Bangladesh’s trade privileges following the Rana Plaza disaster in 2013, says more needs to be done before it reinstates benefits.